Arte Nova Music Lab is the most outstanding school of Audio and Music Production in Colombia. 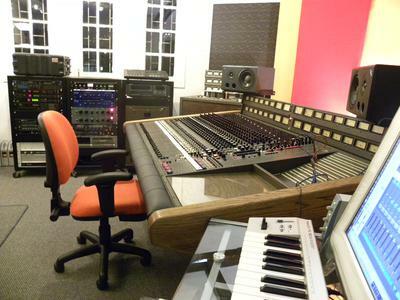 The audio gear includes MCI JH-500 Series Console, MCI JH 24 Tape Recording and 2 Track JH 110 Recorded. Also includes Pultec, DBX Compressor, Neumann Mics and more. With top qualified trainers (LIPA. Berklee College of Music and Conservatory of the Arts), Arte Nova Music Lab is leading the audio education in Suth America. Join in and write your own page! It's easy to do. How? Simply click here to return to Colleges and Universities.